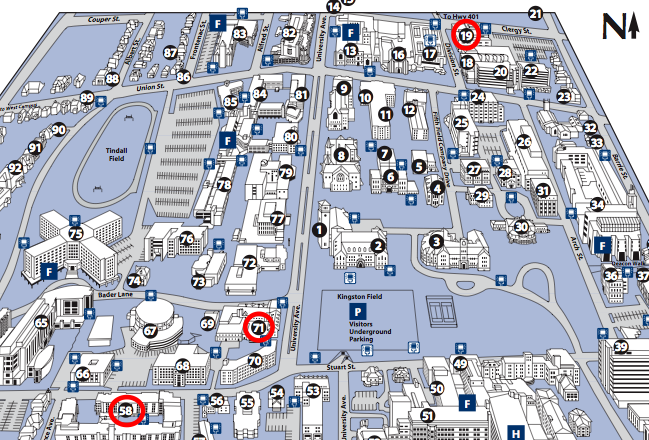 There will be an informal reception for all CCCG participants on Sunday August 13 from 19:00 - 21:00 at Legett Hall (58 on the map above). Participants will be able to pick up their conference registration and proceedings at the reception. The Conference technical sessions will be held in Dupuis Hall (19) Rooms 215 (A sessions) and 217 (B and plenary sessions). A registration desk will also be open every day in Dupuis Hall. The Conference Banquet on Tuesday August 15 18:30-23:00 will take place at Ban Righ Hall (71).